Singer Troye Sivan and his mum Laurelle have celebrated the abolishing of Queensland’s so-called “gay panic” legal defence. The partial defence allowed murder accused to argue a charge down to manslaughter by claiming the violence was triggered by an unwanted homosexual advance, and it was at long last abolished by the Queensland parliament on Tuesday. In a video posted to the Change.org Facebook page, Troye and his mum congratulated Catholic Priest Father Paul Kelly who fought for years to have the defence abolished. His petition on the issue attracted over 290,000 signatures. 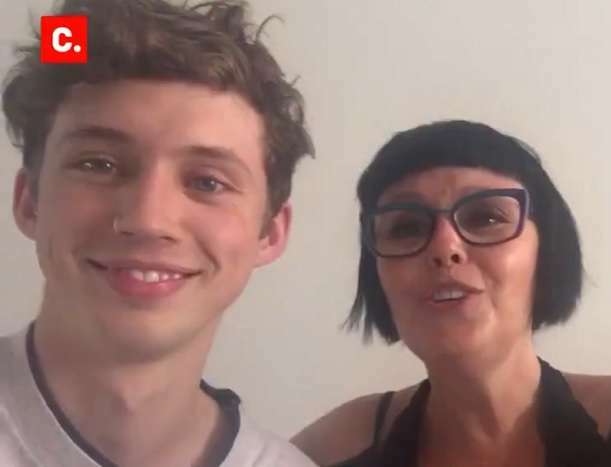 Troye’s mum was one of several high-profile Australian who helped local advocates pressure the Queensland government to abolish the “gay panic” defence. Attention on the issue has turned to South Australia, now the only jurisdiction in the country where an equivalent defence exists. South Australian premier Jay Weatherill committed to abolishing the defence in May last year, but the government is waiting for advice from the South Australian Law Reform Insitute (SALRI) before legislating. Mr Weatherill told BuzzFeed he was concerned about the potential impact on domestic violence victims if provocation laws were repealed. Similar concerns arose during the Queensland reform process. “If the SALRI finds that the so-called gay panic defence exists in South Australia, it would be as a component of the law of provocation, which is relied upon by women in domestic violence situations,” he said. SALRI senior project officer Sarah Moulds said the laws do have an impact beyond “gay panic” but the element that discriminates on sexual orientation must be removed. “The part that requires work is how do you do that in a way … that’s mindful of the impact you are going to have on people who have experienced family and domestic violence,” she told the ABC.